Since 2016 the region of Flims-Laax-Falera hosts the TrailTrophy. At around 1050 metres above sea level, Flims and Laax are the perfect locations offering up an abundance of hugely characterful, varied trails: some rooty and wild, others rocky and alpine, some open and grassy and even more with man-made berms, jumps and other little treats. No-one can accuse Flims-Laax of being repetitive. The start line can be reached by bike and, of course, chairlifts and gondolas. 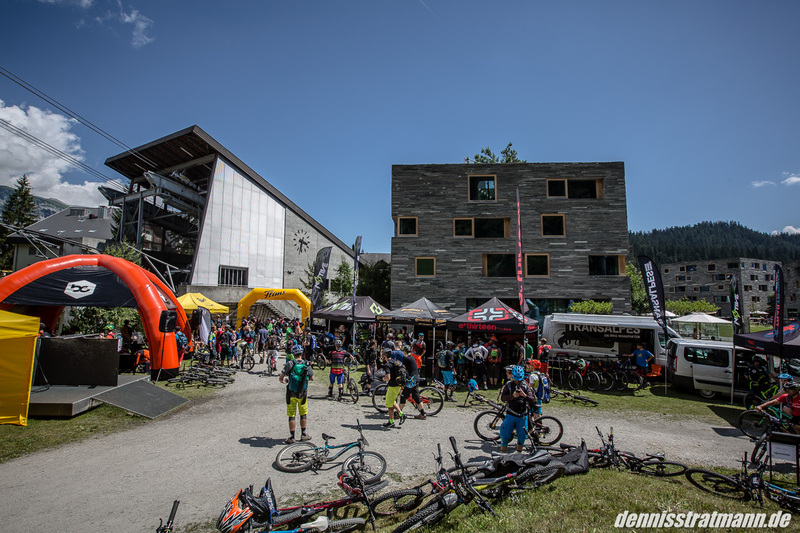 For more info on the tracks and trails, the schedule for the TrailTrophy’s stop in Flims-Laax and more, just keep reading. The Programme for TrailTrophy Flims-Laax will be published beginning of January 2019. Event-Area: Laax, rocksresort, Via Murschetg 15, 7032 Laax, Switzerland. Rider limit: 350 places are available on the starting line-up (Men’s Rider & Masters Class/Women’s rider class). Overall Series Ranking: At the end of the season the best riders of the TrailTrophy series will be crowned the Final. Riders will be awarded points according to where they place at each TrailTrophy with the rider with the highest number of points at the end winning. The same number of points will be awarded for each TrailTrophy. Overall Series Ranking II: Participants competing for overall ranking can have their worst result discounted. To be considered for the TT overall series ranking you must compete in the TT final! TrailTrophy trails will not be announced prior to the event. The stages will however take place on pre-existing trails and routes – no new trails will ever be built specifically for the TT. The entry fee for the TrailTrophy Flims-Laax is 179 Euro. Being participant of the TrailTrophy powered by transalpes.com, there are plenty of partner hotels and B&B’s you can stay in over the TrailTrophy weekend. Our tip: Read the details of your accommodation carefully as many partner hotels include an evening meal (dinner on Saturday is included in your entry fee for TrailTrophy). Campig guests can book a special stay of two nights at Camping Flims (normally it's only possible for three nights and more…). Please note the kay word "TrailTrophy" when your're booking! Here you'll find the provisional schedule of TrailTrophy Flims-Laax. The detailed schedule will be send via e-mail to alle participants ca. 10 days before the event.